Based on student needs, our faculty meet regularly to collaborate around teaching, curriculum, and assessments to design unique and personalized learning opportunities. Our teachers strive to know our students’ strengths and needs, so they can deliver quality customized instruction. We are pleased to offer a comprehensive academic program where all students have the opportunity to be challenged and supported according to their abilities, skills, and needs. Compliant with the University of California standards and not bound by the Common Core, our curriculum is designed by Christian educational experts so that faith and learning are meaningfully integrated. Our average class size is approximately 23 students per class, and the overall student to teacher ratio is 14 to 1. OLu cares about me as a person and not just a student. Teachers care about my education in addition to my personal and spiritual growth. I feel that OLu is the best place for any young adult or teenager to attend to have success in life beyond high school. Each school year includes two semesters, and each semester will include eight class periods on a block schedule. Students will attend four 80-minute class periods each day, as well as Daily Gathering events. Orange Lutheran students have access to our innovative approach to online education, Orange Lutheran Online (OLO). 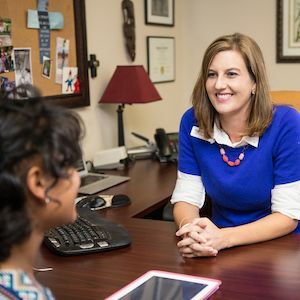 Studies can be crafted to fit students' individual needs - they can take all their courses online or choose a "blended" model with half online and half on-campus courses. Students can even take a single class online to free up their schedule for extracurricular activities. Orange Lutheran Online mirrors the same high-quality academic structure as a traditional classroom, but offers a collaborative, yet flexible format. 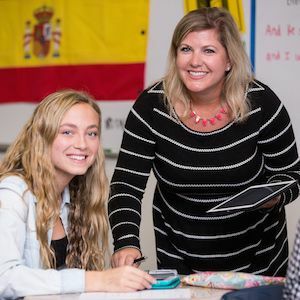 At Orange Lutheran, we know that no two students are alike, which is why we tailor our guidance and instruction to serve our students' individual needs. For students with learning disabilities, our Department of Special Programs & Services (DSPS) provides additional instruction and helps make reasonable accommodations in students' classes. 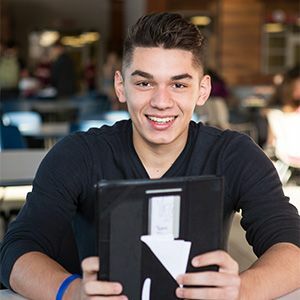 Students wanting to get a head start on their college studies have 39 Honors and AP classes available to them, and offerings like our STEM Program match unique learning and career opportunities to student interests and talents.